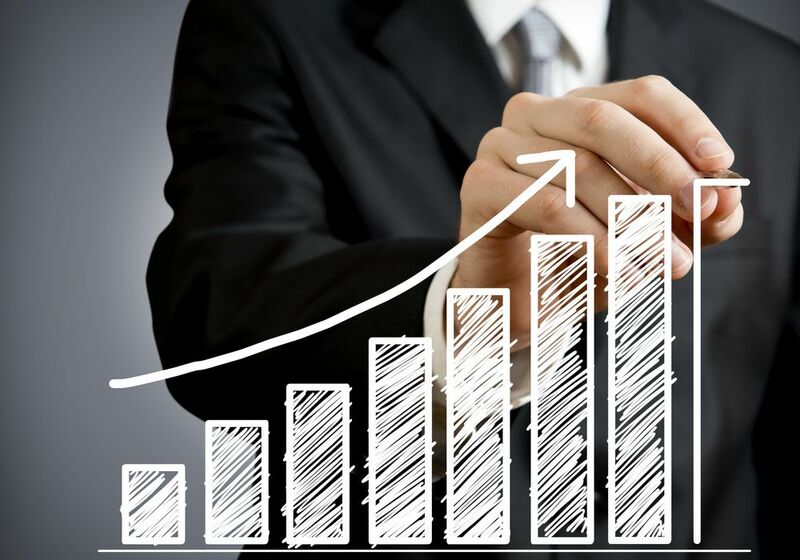 Is 6% The Magic Number For Corporate Travel Growth? 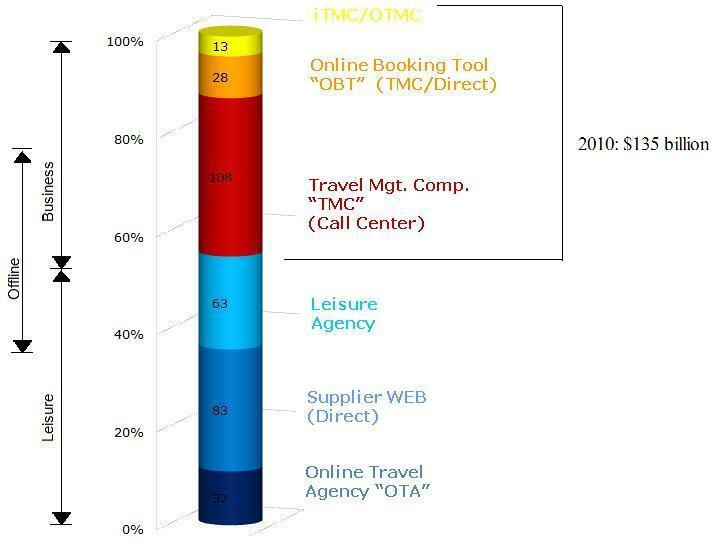 2010 vs. 2015: Is 6% The Magic Number For Corporate Travel Growth? Last week we were talking about corporate travel expenses and how to manage them in the most effective way without spending thousands of dollars on pricey software. Since the corporate travel volume is constantly growing, it is time to have a closer look at some facts about U.S. travel spending in the past, as well as projections for 2015. When I published my book about the developments in travel distribution back in 2010, I took a closer look at the U.S. travel market in one of the first chapters. While most chapters actually still apply today and provide a good insight into the travel industry, five years later, it is time to go over the numbers again, compare them with the projections for 2015 and understand how the market has developed in the last few years. As we all know, the travel market consists of two large product categories: corporate travel and leisure travel. In this article I want to mainly focus on corporate travel which is usually booked online with a Corporate Booking Tool – sometimes referred to as an Online Booking Tool (OBT), or Corporate (Internet-) Booking Engine – provided by a TMC or acquired directly from a travel technology provider, or offline through a Travel Management Company – meaning the traveler or travel arranger calls a travel agent. 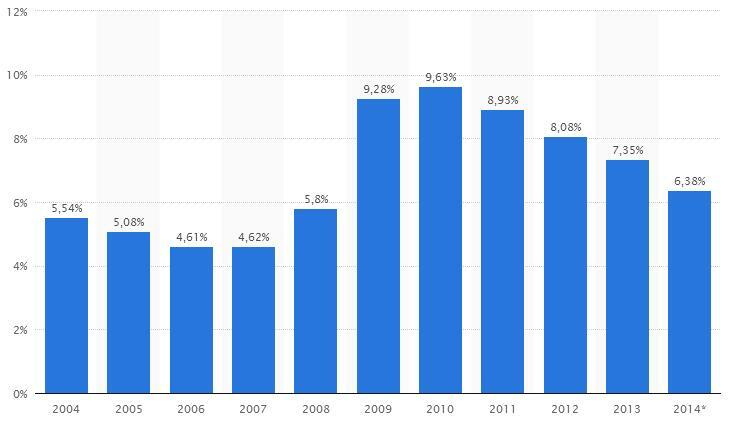 From a worldwide perspective the North (USA and Canada) and Latin American market constituted about one third, the EMEA market another third and the rest of the world (APAC) the last third of the world market in 2010. The overall market for corporate travel (meaning spending for travel and transport services which will benefit the travel industry – excluding expenses for food & beverage, meetings, phone services, etc.) in the U.S. had a volume of about $135 billion. If we compare the graphic to the latest numbers, we can see that the spending has constantly increased. According to the GBTA, corporate travelers spent $292.2 billion in 2014 and are going to spend $310.2 billion in 2015. The graphic above shows numbers adjusted by spending for food & beverage, entertainment, ground transportation, office management, telecommunication, training and meetings (using Concur’s data for such expenses) to make them comparative to my calculations from 2010. You can find a more detailed calculation including the compound annual percentage growth rate (CAGR) a bit further down. While the travel industry was expected to grow by 4% per year back when I was working on “Value Creation in Travel Distribution” it is now expected to rise 6.2% year over year which is similar to the growth over the last years. Side note: You might wonder why I’m so paranoid about checking analyst figures, but this is where my background of a market analyst comes into play: Do not trust any numbers unless you manipulated them yourself! At my previous employer I was responsible for market figures and trends of mobile data services – the management grilled me that my estimates were too high. They compared them with market analyst figures … and what happened? Eventually even a merge with another leading cell phone equipment manufacturer could not secure them a previously significant position in this market. Do you think Steve Jobs cared about market figures? Would that have led to the iPad? Or in which management book is written to cannibalize your own (iPod-) market by bringing out a similar product that has all the same features but is also a phone? However in this case, all in all makes sense: We are growing at around 6% annually. Market numbers are a good vehicle to analyze the present, but make no mistake: you cannot bet on them. Who knows if there is another epidemic, if the Euro/Dollar ratio stays like this, or what happens in Greece, Portugal and Spain? Also the stock market as well as the housing market is back up again to pre-2008 figures. Are we preparing for another bubble or did we generate so much wealth over the past 5 years? Will OPEC continue to underbid oil prices? Will unions decide for strikes impacting corporate travel? Will certain volcanoes remain calm? And what will the various Federal Reserves come up with. We all know that any these factors could dramatically impact profit. Just look at Lufthansa: They managed to turn a 407 € million profit in 2013 into a 732 € million loss in 2014 while almost every other airline increased their profit. Lufthansa claimed union’s power and oil prices hedging to lose more than a billion in one year while corporate travel is on the rise. Is this mismanagement or just bad luck? I fly Lufthansa a lot on my frequent trips to Germany and almost never find a seat empty. Are airlines at the mercy of oil and pilots? Will Corporate Travel continue to grow at a steady 6% rate and what are the risk factors? I’m interested in your opinion and I hope I can start a valuable discussion here where the travel market could go. According to the analysts, in the last two decades the world of work has changed significantly. Many companies have started to work internationally and adapt to the age of globalization. This growth also leads to more corporate trips, as the numbers above show. Factors like an improving labor market, moderate inflation, lower oil prices and higher incomes impact the corporate travel volume and boost expenses notably. Since 2010 the US unemployment rate has constantly decreased, resulting in more employees to be sent on corporate trips and events. Nevertheless the unemployment rate is still higher than it was in 2008 when corporate travel spending was a fraction of today. Companies seem to see solid returns on their corporate travel investments and the revenues are expected to keep growing. That is why they have invested in corporate travel within the last five years and will more than likely continue to do so. Since the Dollar has gotten stronger than other currencies, travel has become less expensive for American companies. However, now, the high demand is expected to increase prices for airfares and hotel rooms. Since ground transportation industry has an abundance of supply, the prices are more than likely going to remain the same. When I think back to one of my previous articles, it remains to be seen if the increased prices will lead to more companies (like Morgan Stanley and Concur) integrating “sharing economy” companies like Airbnb and Uber into their travel polices or if they are willing to increase the funds for corporate trips. Also, back in 2010, when I wrote my book, a huge impact on corporate travel was expected from video conferencing. Why has this not taken shape? Have technology vendors not been able to provide affordable solutions that work? Do we need another Steve Jobs to generate such demand? CAGR: CAGR (Compound Annual Growth Rate) is year-of-year average growth rate over a period of time. It all makes sense; the question is how to easily calculate it. I always wondered why that such an essential formula for market analyses is not a standard function in Excel and you always need some time to think about the basics of math – that’s why I am sharing its calculation here. Assuming S is the initial value, E is the last value, N is the number of years, then the arithmetic calculation is (E/S)^(1/N)-1.